In the rental industry, there is a very common saying that 20% of tenants are the prime cause of 80% headaches and grievances of a landlord. Unmanageable tenants are usually not that great in numbers, but dealing with them will still require most of your time and energy. So how do you avoid all the hassles and make sure you do not rent out your property to difficult tenants? The answer lies in implementing a proper tenant screening procedure, which enables you to get the information you really want quickly and accurately to make your best decision. Follow the tips below, and you will soon have a very efficient tenant screening system in place. 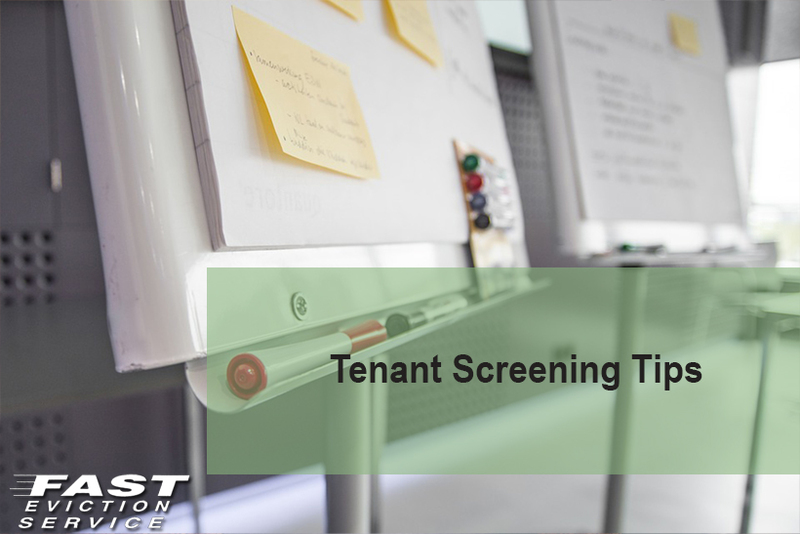 The screening procedure actually begins before you even meet the tenant. The first ever contact that you have with your tenant can either be through telephone or email. Whichever way it is, you will have to ask the same set of questions and then decide if the tenant is worthy of the next step. Let the tenants know about the amount of rent and security deposit they will have to pay, and brief them about your rentals polices. If you are not satisfied with their responses, drop the tenants out form the process right here and do not even think about proceeding to the next step. Also gather details such as their contact numbers, rental terms, smoking, references, pets, reasons for moving into your neighborhood and so on. All these will make it easier for you to sort out tenants. Once the tenants are okay with your terms, you can invite them and show them around your property. While doing so, there are many things you should look out for, and use them for screening purposes. Here are the main points that you should keep in mind. Notice the appearance of your prospective tenants; they should be dressed up in a proper and neat manner. Study the manner in which the tenants behave with you and the attitude which they have. If they sound too whiny or complaining, you would probably be better off by not renting to them. If any tenant criticizes your property and finds flaw, it would not be a surprise if they continue to create problems in future. If any of the tenants do not make a good first impression on you, by all means, go ahead and eliminate them from the process. If any of the tenants show an interest in your property after they have seen it, let them know they will have to go through a proper procedure and submit an application. This will then be reviewed with other applications in line and they will be notified of a decision in the time to come. Request your prospective tenants to fill the form as accurately as possible. The form should contain questions related to personal details, past rental history, employment, finances and reference. Study the information the tenants provide you in the application form, and run a background check on it. Verify the rental and employment details they present you with, if you can talk to their employers and past landlords or property managers to gain more information about them. A credit report is one of the best ways to evaluate how capable your tenant is of managing their finances. As long as their score is above 650, the tenant will probably not cause you any problems in terms of rents and delays. You can get the credit report by contacting a reporting agency or another tenant screening service. Looking up your local Yellow Pages can help you find more information about this. Once you have selected tenants you think will be a good choice, ask them to sign a rental agreement. This should state all contract details in very clear terms. Read the agreement thoroughly and make sure there are no loopholes in it or any clause that can be a source of trouble later on. No decision is more crucial to the success of your business than tenant screening and renting to the best people. Minute for minute, the time you spend screening an applicant is the most valuable time you spend in the property management business because it means the difference between controlling costs – or making expensive mistakes!